I knew this post would be a Ditko character. So sorry to see Steve leave us. Another of my childhood heroes no longer sharing with us the here and now. As a kid I found old GG to be truly creepy with that pixie grin and evil intent. One of my favorite comic villians. 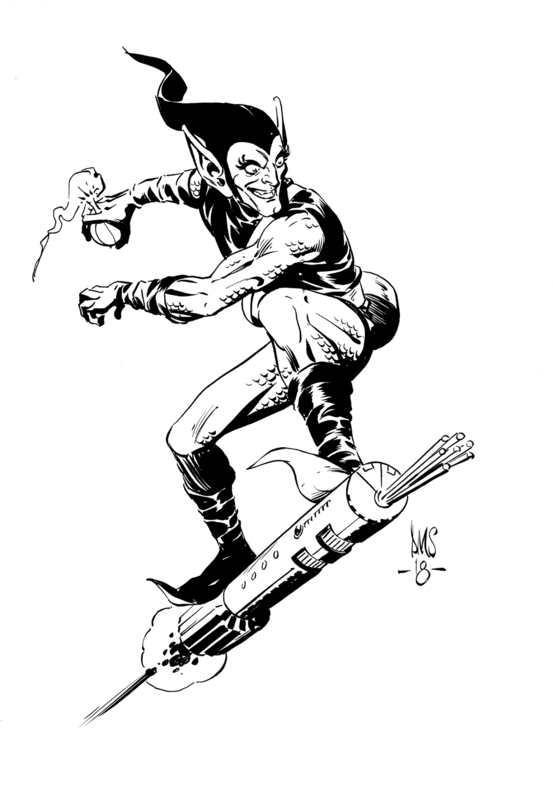 Goblin on his original glider...VERY COOL! All of these illustrations are truly wonderful tributes to Ditko!